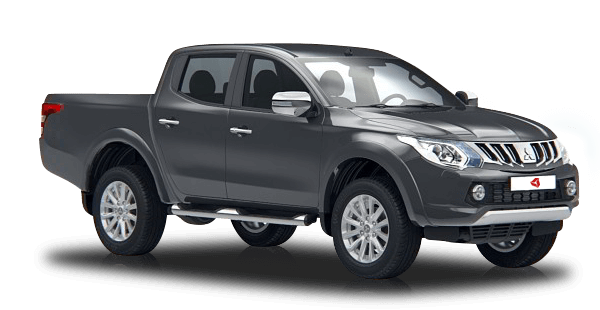 Mitsubishi L200 PDF Workshop and Repair manuals, Wiring Diagrams, Spare Parts Catalogue, Fault codes free download! 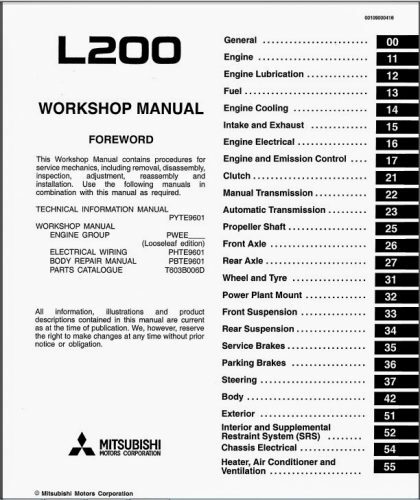 The manual for repair, operation and maintenance of cars Mitsubishi L200, equipped with diesel and gasoline engines. The manual will help all car owners Mitsubishi L200 with a pickup truck, car workers and car service centers to maintain the car in proper working order, save time and money. The manual contains photographs detailing the entire process of step-by-step repair of Mitsubishi L200, including engine repair, complete vehicle specifications, lists of possible malfunctions and recommendations for their elimination. The technology of work was chosen in relation to the conditions of the garage using a universal tool, and only in exceptional cases recommendations for the use of a special tool available on a free sale are given. Repair operations of units and units in each section are selected on the principle of simple to complex: from the simplest maintenance operations, the adjustment of units and systems, the replacement of often failing parts, and major repairs of units. All materials of the manuals are created on the concrete experience, received during complete disassembly and assembly of Mitsubishi L200 by highly skilled mechanics. The entire order of troubleshooting is illustrated with color photographs. In separate sections of the service manual includes instruction manual Mitsubishi L200, recommendations for maintenance and electrical circuit (wiring diagram) of the car. These workshop manuals will be useful to owners of cars Mitsubishi L200, specialists of service stations, repair shops and car-care centers.